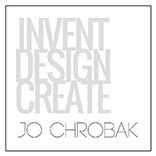 www.jochrobak.com (“site”) is owned and operated by Invent Design Create Limited a company registered in England and Wales under company number 09610117 and with our registered office at c/o TAXASSIST ACCOUNTANTS, 175 WOKINGHAM ROAD, READING, BERKSHIRE, ENGLAND, RG6 1LT business address at 8 Clonmel Close, Caversham, Reading, Berkshire RG4 5BF and is not currently VAT registered. We reserve the right, at our discretion, to modify, add, or remove any or all of these terms and conditions at any time and each such change shall be effective immediately upon posting. Please check these terms and conditions periodically for changes. Your continued use of this site and purchase of services or products on this site following the posting of changes to these terms and conditions will mean you accept those changes. Please check the terms before every purchase. If the revised terms apply to any existing provision of services, we will notify you of the changes. You shall not purchase any services or products from our site if you are below the age of 18 years old because, under this age, you do not have legal capacity to enter into a contract. 8.3 [We will need certain information from you that is necessary for us to provide the services, for example, the completed welcome pack forms & signed agreement. We will contact you in writing about this. If you do not, after being asked by us, provide us with this information, or you provide us with incomplete or incorrect information, we may make an additional charge of a reasonable sum to cover any extra work that is required or we may suspend the services by giving you written notice. We will not be liable for any delay or non-performance where you have not provided this information to us after we have asked. If we suspend the services under this clause 8.3, you do not have to pay for the services while they are suspended, but this does not affect your obligation to pay any invoices we have already sent you. 8.4 We may have to suspend the services if we have to deal with technical problems or to make improvements agreed between you and us in writing to the services. We will contact you to let you know in advance where this occurs, unless the problem is urgent or an emergency. You do not have to pay for the services while they are suspended under this clause 8.4 but this does not affect your obligation to pay for any invoices we have already sent you. 8.5 If you do not pay us for the services when you are supposed to, we may suspend the services with immediate effect until you have paid us the outstanding amounts (except where you validly dispute an invoice). We will contact you to tell you this. This does not affect our right to charge you interest. 8.6 If we design a product for you or supply a product to you as part of the services (such as a report, drawings, 3D models, sketches, a DVD, an e-book or any other form of digital content or any other type of product whatsoever), we will own the copyright, design right and all other intellectual property rights in such product and any drafts, drawings or illustrations we make in connection with the product for you. e) If you request us to start work prior to the 7 day cancellation period, you will be required to pay the relative amount of work up to the date of cancellation. 13.2 Once we have begun to provide the services to you, we may cancel the contract for the services at any time by providing you with at least  calendar days’ notice in writing. If you have made any payment in advance for services that have not been provided to you, we will refund these amounts to you. 14.1 We deliver to the International Delivery Destinations United Kingdom, Europe, Australia, Canada, Norway, Finland, Denmark, and Sweden. However, certain products are not delivered to International Delivery Destinations so please check the information on our International Delivery Destination page carefully before ordering any products. 14.2 Delivery of products to International Delivery Destinations will be subject to applicable import duties and taxes payable by you. Prior to placing an order you should contact your local customs office for information on this. 14.3 You agree to comply by all applicable laws of country to which products are delivered and we shall not be liable for any such violations. 15.2 Our prices are exclusive of VAT. However, if there is a change in the rate of VAT between the date of the order and the date of delivery or performance, the rate of VAT that you pay will be adjusted, unless you have already paid full purchase price prior to the change in the rate of VAT takes effect. 15.4 Despite our best efforts, there may be incorrect prices on some of the services or products. If the correct price is less than a price shown on our site, the lower amount will be charged. If the correct price is higher than the price specified on our site, we will inform you of this and ask whether you wish to continue with the order with the actual higher price. If the error in price is obvious, unmistakeable and misplacing could have been recognised reasonably by you, we will not be liable to provide the services or products to you at the lower price that was incorrect. 15.5 Payment for services is to be made in advance by credit or debit card or Paypal except where agreed otherwise in writing between us. We accept payment with ALL MAJOR CARDS. 15.6 If you do not make any payment due to us by the due date for payment, we may charge interest to you on the overdue amount at the rate of 3% a year above the base lending rate of HSBC from time to time. This interest shall accrue on a daily basis from the due date until the date of actual payment of the overdue amount, whether before or after judgment. You must pay us interest together with any overdue amount. 16.3 Exceptions to Limitation of Liability. 19.1 We may assign our rights and obligations under these Terms to another person. If there is any such assignment of rights and obligation, we will inform you in writing or by email. 19.4 Each paragraph of these Terms are separate and distinct from others. If any court or relevant authority determines any of paragraphs of these Terms is unlawful, then such determination will not affect other paragraphs and all other remaining paragraphs will remain in effect and full force. 20.1 Available business hours are Monday to Saturday 9:00AM TO 5:00PM with 1 hour for lunch GMT +1 (London time) and may change from time to time, without notice. We will make our best efforts to arrange another suitable time to meet if we change our time zone during a current contract. If a reasonable time cannot be agreed we will refund the cost of that session or agree an alternative session in writing. 20.2 If you request urgent delivery of one of our services that require us to work overtime (as described in the hours above) these will be agreed in writing prior to starting the work. 20.3 Additional Services may be required to complete your specific project. These will be agreed in writing and paid for prior to commencement. We will not start on additional work without receipt of payment. 21.1 If for any reason we agree in writing that no remaining hours are required, a refund for the remaining time minus administration and other agreed costs will be offered. Our products and services are non transferable. 21.2 specific expectations and parameters of the assignment. 21.3 CONSULTATION & ESSENTIAL DESIGN PACKAGE. a) No work will start on your project unless you have completed your pre-session questionnaire, read and agreed on these terms and conditions and returned. We cannot give any guarantees or promises and we take no liability for information incorrectly given or given in error. b) Design ‘gifts’ can be any but not limited to the following; drawing, sketch, 3D image, collage, shopping list, shopping checklist, design guide, procurement method and are decided by us. WE do not accept liability for any incorrect information received or given when discussing your individual project. d) Your 2 weeks of email access starts from the date of our first session together. e) Each session is 60 minutes (1 hour) or 120 minutes (2 hours) and can be added to in 30 minute intervals. You can extend your session if we agree during a call together, however any additional payments must be paid and honoured within 24 hours of the end of our call or will be taken from your overall remaining call time, as agreed. f) Requested changes by you, will be paid for either in an additional payment as agreed by us and paid for in full within 24 hours of the request and agreed in writing or will be used from your remaining call time. 22.1 If for any reason we cancel a session within 2 hours notice and are unable to reschedule within the same week, we will provide an extra hour or refund the agreed amount in writing. If for any reason you cancel your session within 2 hours of our agreed session time and we are unable to reschedule within the same week, the full amount will be charged for the session. 22.2 If you arrive late to a call, we will still finish the call at the previously agreed time and you will lose the time paid for unless otherwise agreed in writing. 22.3 If I arrive late to your call, we will still finish the call at the previously agreed time and we will add time to another call as agreed or refund the difference minus administration costs, unless otherwise agreed in writing. 23.1 1:1 Session – can be held over Skype, telephone, Zoom or any other agreed platform. This does not mean a face to face meeting, however we may agree to meet face to face in your home for an additional fee and travel costs incurred by you, although this must be pre-agreed in writing and paid for in full before starting any work.